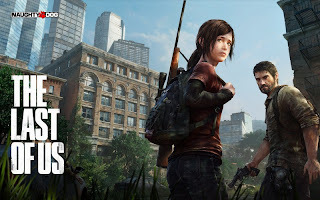 The Last of Us High Part / Supply Gain Guide submitted by OR. So after playing around 20~ hours of the multiplayer in The Last of Us, I have been netting around 4-5k parts (roughly 100-120 supplies) per game and consistently end most matches in 1st place, regardless win or lose. There are a few key things you can do that will up your parts gained per match by an incredible rate. The revolver is definitely my favorite weapon in the game. It has amazing range and damage, manageable recoil and cheap ammo. This gun will drop a full hp, unarmored person with 3 shots to the core of the body or 2 if a head shot is included. It's great at picking off injured players and is overall a very excellent weapon. Using this weapon correctly, I find that the other weapons are not worth the loadout points for increasing your OVERALL PARTS EARNED, which i the only true objective of a match. This is preference, some people may opt to use the 9mm or Shorty, and there is something to be said that the Rifles are particularly powerful for slaying. Onto the Survivor Skills. Collector is just a straight parts buff and needs no explanation. However, Crafter 2 is perhaps my favorite skill in the game with the initial benefit of crafting 75% faster. On paper, this isn't terribly appealing but in tight situations and when you are on the go a lot, this is a major time saver and sometimes even a life saver. But the secondary effect is the VERY powerful. Every 3rd item you create, you get a free random item to gift to a teammate. Every time you gift someone you get a couple hundred parts AND increase the strength of your team by generating many free Molotov's/Bombs/Smokes. These items win engagements and ultimately win games by allowing your team to control the map with greater AOE presence. By playing the role of a crafter, it puts you into a mindset of really controlling and harvesting as many supply points as possible. This class is mobile and effective because of the sheer amount of artillery you bring to the table and the strength the revolver has in close quarters engagements. Sharpshooter 1 is a very solid benefit for two points, reducing your screen shake from taking damage. Ideally, in a firefight this can be a 20% increase in your accuracy an WILL win you trades. Your gameplan as the Crafter is to be mobile and control supply points. The center boxes typically hold 5-7 random supplies and a melee weapon. After your first center box is taken, you should already have a free item to give to a teammate, and from that point the goal is to snowball your team with endless free items and roaming the points. I can't stress it enough, THE ENEMY TEAM IS SECONDARY TO POINT CONTROL. Your only goal in the game is to net as many parts as possible, and picking up supplies/crafting items and gifting items result in huge part gains, not to mention all the easy kills you get from molotov's and nail bombs.